This metallic designer tote bag measures 13” x 15” and features 10” gussets with 22” handles. Crafted out of 100 GSM non-woven polypropylene with a metallic lamination that provides extra structure and strength. A smooth finish puts it above conventional non-woven bags. Includes a poly board insert made of recycled plastic and a flashy style that will attract attention to your brand. This bag may be customized with your company name and logo. 100 GSM Non-woven polypropylene with metallic gloss lamination – Recyclable # 5. 13″ W x 10″ Gussets x 15″H. 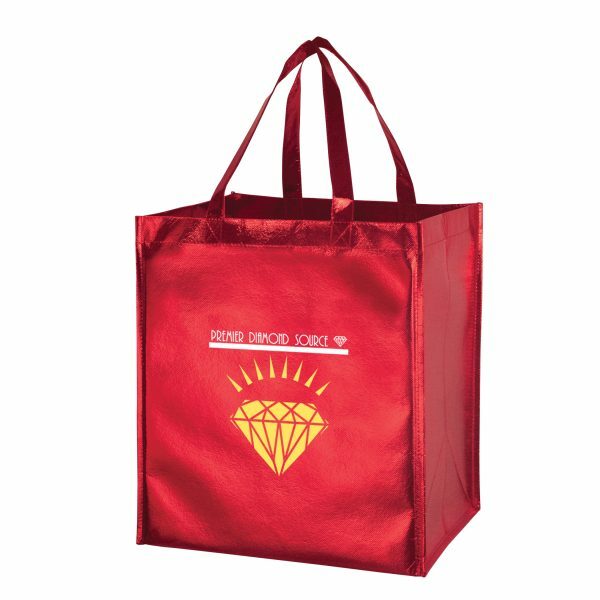 Metallic Gloss Designer Grocery Tote Bag measures 13” x 15” and features 10” gussets with 22” handles. Crafted out of 100 GSM non-woven polypropylene with a metallic lamination that provides extra structure and strength. A smooth finish puts it above conventional non woven green bags. Other great options here. Is your company in the market for a top-flight marketing product that will display your logo and reach out to potential clients? 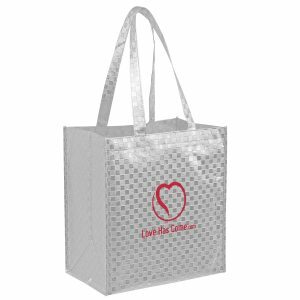 Our imprinted grocery totes are just one of the great items we feature here. 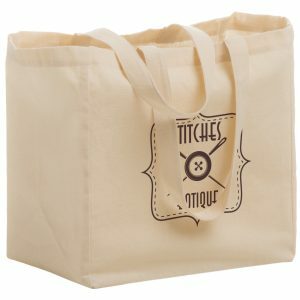 The tote bag is considered the leader of promotional products. With cities everywhere banning the use of plastic bags, products like these have become optimum advertising vehicles. 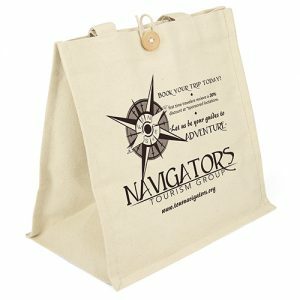 It’s time to consider eco totes today as part of your next promotional giveaway. We offer many sizes and styles of each products. See all other great options at customgreenpromos.com. This metallic designer tote bag measures 13” x 15” and features 10” gussets with 22” handles. Crafted out of 100 GSM non-woven polypropylene with a metallic lamination that provides extra structure and strength. 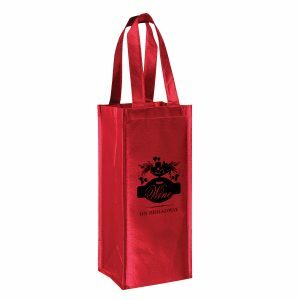 A smooth finish puts it above conventional non-woven bags. Includes a poly board insert made of recycled plastic and a flashy style that will attract attention to your brand. This bag may be customized with your company name and logo.